In 1985 the first custom home by Michael C. Brown was started and turned over to his client, Mr. Jay Gentry. Since that time, we have been committed to becoming Virginia’s premier custom home builder. Through a continual program of industry education, Michael C. Brown Custom Builder & Renovations, LLC has become the market leader in introducing new ideas and products to the Williamsburg market. After three decades of growing success, Michael C. Brown Custom Builder has established itself as one of the premier custom contractors in Virginia. Currently the company is building homes in such fine communities as Governor’s Land at Two Rivers, Ford’s Colony, Kingsmill, Berrett’s Ferry, Holly Hills, and Stonehouse. We hope that you will give our company an opportunity to show you that we can make your dream a reality. Whom do we build homes for? Many times we are faced with the prospective client statement of “our house is too small for you to consider building”; our response has been and will always be ‘it’s not the size/square footage of the house, but the quality standards that our clients wish to achieve for their home’. Our focus is to remain the premier custom home builder in Virginia who specializes in serving those clients which demand that their homes be built to the highest quality specifications and possess unique characteristics that no other builder can provide or has the ability to provide. What “kind” of homes do we build and where do we build them? The general goal of every custom home builder is “quality”; whether or not it is truly the end result can only be ascertained by the builders post-construction long term relationship with their clients and the re-sale performance of the houses they build for each client. Michael C. Brown Custom Builder has consistently established long-term, post-construction relationships with each one of their clients. The re-sale performance of a Michael C. Brown Custom Builder home has outperformed its competitors in both equity return to its clients and “for sale” days on the market. 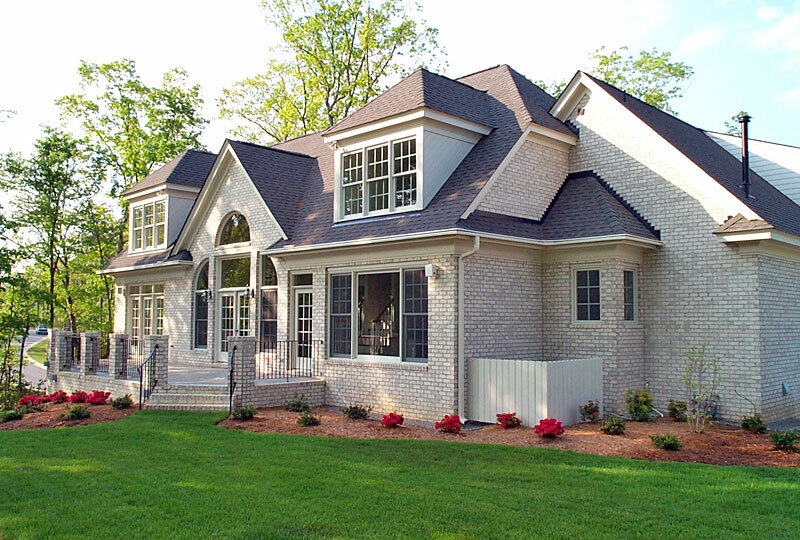 Michael C. Brown Custom Builder will continue to be a leader in the Virginia custom builder market. We are committed to devoting our company’s knowledgeable resources in serving our clients to the highest possible standards available in the custom home builder market. Quite simply our company specializes in the highest quality homes built from Richmond to Williamsburg. Our philosophy is that we would rather build ten 1,000 square foot homes of the highest quality and possess unique features and/or products versus building one 10,000 square foot box that is just that, a box with no character. This isn’t any fun, nor is it our goal in business. This business, as far as our owner and founder is concerned, is no longer based solely upon the “profit” aspect, but on being and remaining the “go to” builder when it comes to building the premier quality homes in Williamsburg. Why is this? We would love to tell you why this has become a “love” more than a business.